The vision of CORESTA is “to be recognised by our members and relevant external bodies as an authoritative source of publically available, credible science and best practices related to tobacco and its derived products”. The purpose of the Association is to promote international cooperation and research regarding non-competitive scientific issues. CORESTA develops methods for physical or chemical measurement. In order to produce and maintain these methods, and for laboratory accreditation, proficiency tests, collaborative studies and reviews are conducted, leading to the publication of study and technical reports. Furthermore, guides and recommen­dations on good practice and usage are also published when needs arise, as well as other documents of general interest for all stakeholders. CORESTA documentation is available from its website at www.coresta.org and reflects the work done within the Association by the various working groups. Since the early days of CORESTA, Sub-Groups and Task Forces have been launched to carry on this work depending on the scientific needs and priorities of the industry, under monitoring by the Scientific Commission. With the increasing number of documents required within a rapidly evolving context, the process leading to this work and the related output needed to be formally structured and documented. A CORESTA Standards Task Force was launched to streamline the cooperation process and ensure that all steps were properly marked and reported to ease the follow-up of the on-going work and archiving. A flow diagram has been drawn to describe this process and the responsibilities from a new work item proposal to the related document(s) made publically available. It also describes when, why and how a project for carrying out a new work item has been approved or rejected, with the relevant rationale. New projects can be raised by any CORESTA member through existing Sub-Groups (SG); Task Forces (TF); Committees; the Scientific Commission (SC), the Board or the General Secretariat (GS). A new work item proposal (NWIP) is first sent to the GS and assigned a project number before being submitted for consideration by the SC. Approval, rejection or need for further investigation is documented by the GS in the NWIP form. The project is attributed to an existing Working Group, depending on the required expertise. If needed, a survey and/or a dedicated workshop is organised to gauge whether there is sufficient interest from CORESTA members in setting up the new project. A report with recommendations is presented to the SC and Board. A new SG, TF or Committee may then be launched if relevant. Final documents and presentations produced by the Working Groups and approved by SC and Board are meant to be posted on the CORESTA website for public interest. They may also be published in peer-review journals. Publications are announced in the Newsletter and website. Interim and supporting documents related to the final output of the project are archived by the General Secretariat, bearing the project code for easy retrieval. Reports are reference documents at a point in time and will not be reviewed unless an error is found. Methods and Guides will be reviewed periodically. Note 1 – New Work Item Proposal (NWIP): The request to start new work includes a rationale. The proposal can originate from any CORESTA Member (within a workshop / Working Group / Scientific Commission / Board or other) or on behalf of the participants of a Working Group after their consensual agreement. The request is sent formally to the CORESTA Secretariat. The project is documented and given a code number. The CORESTA Secretariat ensures that this is considered by the SC and that any decision is explained back to the individual or group who raised the proposal. Note 2 - Rationale of approval or rejection (by the Scientific Commission): The rationale for any rejection or approval by the Scientific Commission is documented within the NWIP form and, if relevant, in the SC minutes. The rationale for approval is by default when the Scientific Commission agrees with the objectives. Comments may however be brought and must be answered by the Proposer. All work should end in a document output such as a Recommended Method, a Technical Report, a Guide, a Presentation, any Publication or Administrative document such as forms. The decision is logged by the Secretariat within the NWIP form and reported back to the Proposer. Note 3 - Rationale of approval or rejection (by the Board): When a new Working Group is needed, the Board may request more detail on objectives or even reject it. The rationale is documented within the Board minutes. The decision is logged by the Secretariat in the NWIP form and reported back to the Proposer via the Liaison Member. Note 4 - Draft new or revised Document: This is not a new starting point here since the “project” already exists in the process (logged by the Secretariat within the NWIP form) and approval has already been given by the Scientific Commission. CRMs are reviewed systematically but only updated when required and the Secretariat can inform the Scientific Commission when this is due. Note 5 - Sub-Group / Task Force Objectives / Coordinator: Before any work starts in a new group, the Scientific Commission approves the objectives and nominates a Coordinator. Documents (Newsletter, press releases and annual reports) and website news are generated to inform CORESTA Members about the launch of a new SG, TF or Committee. These may be written by either Working Group executives, Scientific Commission or the CORESTA Secretariat. Information is posted on the CORESTA website in the Study Groups section and includes the objectives of the new group. 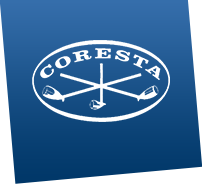 Note 6 - Final CORESTA Document: Final Documents are sent to the Secretariat and, unless decided otherwise by the Board, placed on the CORESTA website. Links to external publications can be made available through the website. On the "STDS-002-CCA-C2_New Work Item Proposal" form available from the Guidelines & Forms webpage under Member Content.